The 8 Best Comedy Spots in Colorado! Get your laugh on in the Centennial State by visiting the most popular and well-respected comedy spots in Colorado. 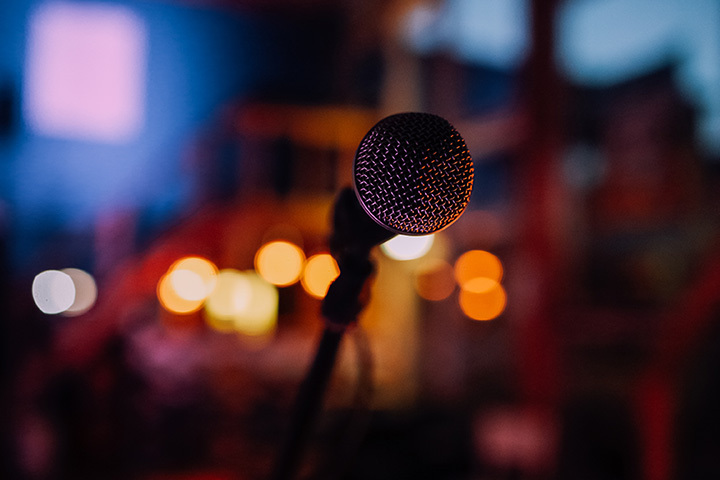 Local and national acts perform often in the Mile High City, so you might see your favorite comedian headlining at one of these spots or discover your next favorite funny guy. Whether it’s improv or stand-up performances, you won’t be able to stop laughing at these 8 best comedy spots in Colorado! Comedy Works is the most popular comedy club in the state. It has been hosting local and national comedians for over 30 years. The downtown Denver location is the iconic original, however the southern location in Greenwood Village is nothing to scoff at either. With great acoustics, top acts and food and cocktails, it’s not a surprise why this comedy club is one of the best in the state. Comedians like Chris Rock and Jerry Seinfeld have graced the stage at Comedy Works. This intimate theater in the heart of downtown Denver is a comedy favorite featuring local comedians and improv theater. Voodoo Comedy Playhouse, which opened in 2011, not only offers entertaining acts almost every night of the week but also hosts high-quality improv classes and workshops. A popular act that regularly takes the stage at the Voodoo is Hit and Run: Musical Improv, an unscripted musical comedy team. Head to the Clocktower Cabaret for an array of entertainment options from burlesque to drag shows to stand-up comedians. Being right on the 16th Street Mall, this venue is a great option for visitors who want to experience downtown Denver and the 16th Street Mall atmosphere. Get ready for a little bit of weird from the live performances at the Clocktower Cabaret. With Loonees website proudly proclaiming that “It’s cheaper than therapy,” this comedy corner features nationally-known comedians regularly. The comedy club hosts open mic nights, as well, for those budding comics looking to get their start. The venue not only features comedians, but also hypnotists, ventriloquists and improv groups. Opened in 1987, Impulse Theater is the place to go for incredible and quick-witted improv comedy. Since opening, there has been over 7,500 performances at the Impulse. The acts at this theater truly focus on audience interaction, so you become a crucial part of the show. Deer Pile has something for everyone by not only featuring great comedians but also art, music and film. This multi-purpose space is donation-based for audience members, meaning that tickets are pay what you can, so no matter what your income is you can enjoy a great show at Deer Pile. This community art space is open every night of the week and regularly hosts comedic talent and local stand-up comedians. Find your next favorite stand-up comedian at Denver Improv. Comedy veterans and comics new to the scene can both be found on the stage at this comedy club. This spot is also great for dinner and drinks, with a full bar and menu options. Make Denver Improv your next date night. View more Colorado Comedy Clubs.